Coast members of parliament and senators are scheduled to meet to deliberate on the envisaged plans to privatise the port of Mombasa. 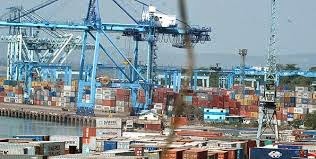 Sources say MPs will hold a joint meeting with the giant Dock Workers Union and other stakeholders at Bandari College in a week’s time to air their concern over the controversial privatisation process which has seen tension rise in the region. Other leaders have also been invited at the stakeholders’ meeting. The MPs are reportedly unhappy that a few individuals with vested interests in port resources may have managed to convince President Uhuru Kenyatta to endorse the privatisation without due regard to the overall Coast interests, including the impending massive lay-off of workers that will result from the process. Last week, Kilifi senator Stewart Madzayo described the move to privatise the port of Mombasa as daylight robbery. He claimed some individuals might have misled the president into endorsing the move without due consultations. Kenyans? We are going to fight over this issue to the last drop of our blood if need be. This is hooliganism of the highest order. These are the kind of things that make Coast people feel aggrieved. How do you just come from Nairobi and lock yourselves in a hotel room then decide how a Coast resource of KPA magnitude will exchange hands without pausing to think what the local leader’s opinion is. We must be respected,” he said. The senator urged all Coast leaders to come up together and object to the move, saying the local community, regional leaders and the workers union ought to have been consulted first before plans to sale the port were conceived. He said a few selfish tycoons are scheming to benefit. But speaking at a function in Tana River county, Kenya Ports Authority chairman Danson Mungatana claimed those who were opposing the privatisation, including the Dock Workers Union, were dishonest. He said wide consultations had taken place before the launch of the port charter part of whose highlight is to privatise the port of Mombasa. 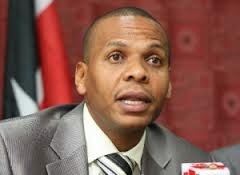 In response, the Dock Workers Union officials have told off Mungatana, claiming he was bringing politics into the running of the port activities and ought to be removed. 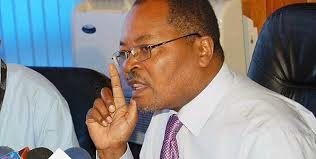 The union’s secretary general Simon Sang further said KPA managing director Gichiri Ndua and Mungatana misled the president into believing that the port of Mombasa can only be efficient if privatised. Sang observed that if a competent MD was running the port, performance would be much higher than is the case today. He accused Ndua of being a “paper tiger” as opposed to a performer. “The problem we have at the port is that we have a weak MD who seems not to understand how the organisation ought to be run efficiently. As a result, he is pre-occupied with privatisation proposals some of which can not be sustainable. We are telling him the port can become a world class facility without being privatised. What is urgently needed is proper management where the MD should be hired competitively as opposed to the manner in which he was handpicked,” Sang pointed out.